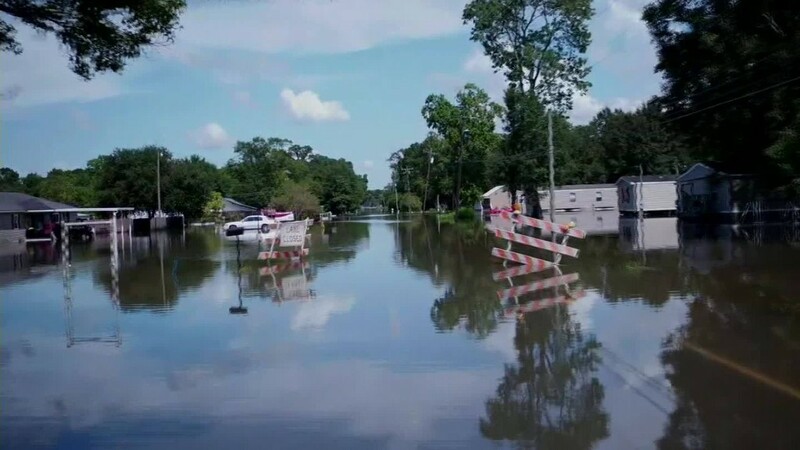 Between August 8 and August 14, Louisiana was battered by roughly 6.9 trillion gallons of rain. As the flooding there continues, 40,000 homes have been damaged; 13 people are dead. And some observers are wondering when the national media is going to truly take notice. One such critical voice was FEMA administrator Craig Fugate. "You have the Olympics. You got the election. If you look at the national news, you're probably on the third or fourth page," Fugate said Tuesday. "FEMA understands this is a very large disaster impacting tens of of thousands of people. Irregardless of whether it is getting in the national coverage, we know this has had a significant impact in Louisiana." People in Louisiana media have also been criticizing their counterparts at publications outside the state. Mike Scott, a movie critic for NOLA.com | The Times-Picayune, wrote in a column that did get national attention that the national media had "by and large, rendered the flood a secondary story at best." "It's a matter of raising awareness," Scott told CNNMoney. "Even though this storm doesn't have a name, even though there's a lot going on out there as far as the Olympics and the circus that is our presidential election, this needs to be in front of everybody." Mark Lorando, the editor and vice president of content for NOLA.com | The Times-Picayune, said that attention from the media could help with the recovery. "The reality is that recovery purse strings are tied to America's heart strings," he said. "The recovery that occurred in New Orleans after Hurricane Katrina, for example, would not have been possible if viewers and readers and consumers of news across the country had not been completely and emotionally drawn into what was happening here. If people are not aware of what's happening in Louisiana and the scale of the devastation then donations to relief efforts don't flow." He added that "Nobody here is complaining that no one is paying attention to them. People here are concerned that our recovery is going to be stunted by the lack of awareness of what's happening." 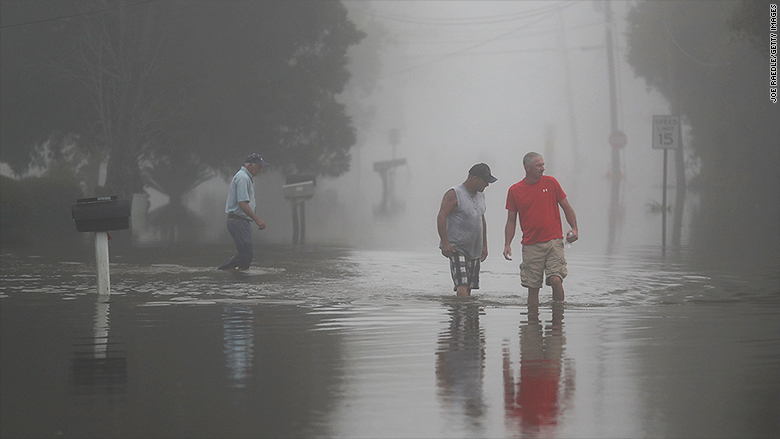 National media outlets like the New York Times have been criticized for its coverage of the historic flooding taking place in Louisiana. Some people might argue that the sad truth in 2016 is that an event in which only 13 people were killed and that does not involve a mass shooting or terror is not worthy of blanket coverage -- and might point to other natural disasters, like tornadoes in the Midwest, that have also caused massive destruction and not gotten much attention. But according to meteorologists like Eric Holthaus, the storm and flooding is undoubtedly worthy of national news. "It's equivalent to a major hurricane making landfall, it's equivalent to a forest fire burning down a city, it's on the same scale of some of these other weather stories that did make national and world news," Holthaus said. "I mean if there was a terrorist attack that leveled 40,000 homes in an American city that would obviously be front page news." Some in the national media are looking inward and be critical of their own coverage. Liz Spayd, the public editor of one of the nation's biggest media outlets, the New York Times, devoted a recent column to The Times' delayed response to Louisiana. "The Times is not the only news organization being criticized for doing too little too late on the floods," she wrote. "Even so, from my scanning of the media's reaction, The Times's performance seems particularly weak." Asked by Spayd about the coverage, the Times' national editor, Marc Lacey, said that the paper could have done more and will do more. "No doubt this is a busy news period, and the fact that it is August compounds the usual challenges of getting available staff to the site of the news," Spayd wrote. "But a news organization like The Times — rich with resources and eager to proclaim its national prominence — surely can find a way to cover a storm that has ravaged such a wide stretch of the country's Gulf Coast."